Paintball enthusiasts know that the key of a successful match is a reliable gun. It must be light enough so you can easily carry along but also well equipped so you can easily target your opponent. The commands must run smooth and by no means should the gun chop the paintballs. Dye Proto Rail Paintball is a great choice for medium advanced players as it has the power and design needed to help you perform at your best speed and strategy. Dye Proto Rail Paintball features fuse bolt technology. It is very easy to clean and maintain due to the color coded o-rings. The light weight regulator allows you to adjust it fast and easy and provides high flow. This gun is extremely easy to maneuver thanks to the non-slip grip. It has an ergonomic design that provides great comfort for carrying and shooting. This weapon is very resistant as the body, bolt and trigger are made of aluminum. Analyzing the customer reviews of this product, it can be seen that it is light, it has a beautiful design and it can be cleaned easily. It is a great gun, perfect for experienced players as it provides velocity. It has a very good rating, 4.5 out of 5, based on 11 comments. Analyzing what people have to say about Dye Proto Rail Paintball, here are the main pros and cons of choosing such a product. It is very easy to use, and you can easily change from a mode to another. The barrel is only 11 inch so it can be a little inaccurate. DYE Precision: Dye Precision is a company founded in 1994 by Dave Dehaan. It started with a single product but in 20 years evolved into an industry leading company. Its products can be manufactured and bought on three different continents. The company provides products focused on paintball and snow industry. It is also focused to offer the best products that can help you enjoy the very best each sports experience. Features: Dye Proto Rail is based on fuse bolt technology. The color coded o-rings makes this gun extremely easy to maintain, making it a great choice. The regulator is light weight and small providing high flow and mild velocity adjustment. Each marker comes with a parts kit, barrel sock, dye slick lube and 9 volts. Specifications: This paintball gun is extremely light. The weight without the frame is 1.62 lbs. It has convenient dimensions that provide an ergonomic design: 9 x 8.5 x 1.35 inches. The potential rate of fire is 1-34 BPS. The battery type is 9 volts, and you can use it for approximate 40,000 shoots. Dye Proto Rail Maxxed can work with HPA or nitrogen. The Eye Pipe: The eye pipe assures a worry-free performance due to the internal design houses. The polycarbonate pipe has the role in protecting the anti chop system from paint and dirt. The bolt tip o-ring cleans the seamless pipe after every cycle. This great system aims to avoid any miss feeds or double feeding. Moreover, it eliminates the potential of corroded mounting screws. Design: This great paintball gun is based on Hyper regulator design. It has a compact look as it is smaller and sleeker. For best shots, the air pressure is precisely adjusted. The shim stack is very sensitive and quickly reacts to pressure changes providing better flow and a quicker response. 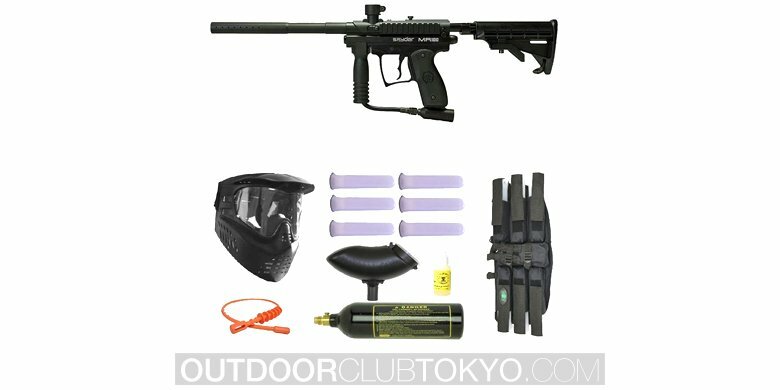 Price: Dye Proto Rail Paintball is a paintball gun that is perfect for medium-advanced players. It is very compact and small providing high accuracy and speed. With only $*** you can have a great product that has the same features as a more expensive model. Overall Dye Proto Rail Paintball Gun is a great product. It has a beautiful design that will definitely help you stand out on the battlefield. The ergonomic design provides a more accurate shooting. The trigger is adjustable and can fit any figure. The smooth velocity adjustment together with the non-slip grip makes it an optimum choice for fast running and great woods games.